God is the God of the Holy Bible and there is no other God besides Him. He is revealed in Scriptures as three distinct persons - Father, Son and Holy Spirit - yet He is one eternal being having no distinction in essence and nature. The Holy Bible is the Word of God written by men who were divinely inspired. It is without error. It is wholly sufficient and authoritative for governing the lives and affairs of mankind. Jesus Christ is the Second Person in the Trinity, being fully God and fully man. He was born of the virgin Mary. He lived a sinless life on earth and died a substitutionary death on a cross. He conquered hell, death, and the grave in His bodily resurrection. Man was created in the image of God. He willfully disobeyed God, thereby bringing sin into the world. Because of man's sin, all humanity inherited a sinful nature and is the object of God's wrath. Man's only escape from eternal separation from God is in Christ alone, through faith alone, by grace alone. 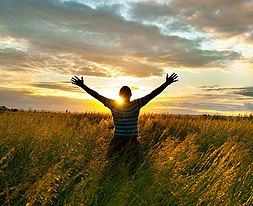 Salvation refers to man's redemption from eternal damnation. It is a free gift of God. It cannot be earned. Salvation is found only in the Lord Jesus Christ, who purchased us with His blood. Marriage was created by God and is intended to provide a picture of how Christ and His Bride (the Church) relate to each other. According to the Holy Bible, marriage is a covenant relationship between one man and one woman. The man and woman (as husband and wife) are bound to each other as an expression of their love to God first, then to each other. Each party yields his/her rights for the good of the other and is committed to one another for life. The biblical family begins with one man and one woman within the context of marriage, thereby forming an intact family struture. Children born or adopted into this "intact" structure are to be reared by their father and mother within the context of marriage. The family is the nucleus of society in the sense that, as the family goes, so goes the world. 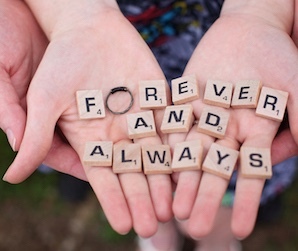 We uphold and advance biblical marriage as the standard of all marriages worldwide to the glory of God. 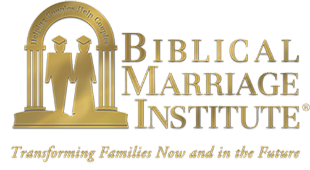 Biblical Marriage Institute exists to train and equip the Church to model, teach, and advance biblical marriage throughout the world.